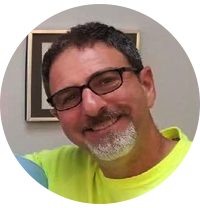 Dave’s first plumbing experiences were as a 12-year-old riding shotgun with his father on Saturdays and school holidays, when Gateway Plumbing & Heating was a one man (and one kid) operation based in Staten Island. After a 6-year stint at a large commercial construction company where he worked in payroll, estimating, roofing, metal fabrication and, as luck would have it, plumbing – he returned to Gateway in 1991 and has been at it ever since. Dave attended St. John’s University on Staten Island and the General Society of Mechanics and Tradesmen (aka Mechanic’s Institute) in Manhattan. He received his NYC Master Plumber’s License in 1994 and his NJ Master Plumber and NYC Master Fire Suppression Contractor’s Licenses in 1998. He currently lives in Maplewood with his wife and two children. Gateway Plumbing & Heating is a family owned and operated business servicing New York City and New Jersey.